CGI Federal Inc., the lead contractor on the new U.S. health insurance website and a subsidiary of Montreal-based CGI Group Inc., is pinning some of the blame for the rocky launch of the site on a subcontractor. CGI Federal Inc., the lead contractor on the new U.S. health insurance website and a subsidiary of Montreal-based CGI Inc., is pinning some of the blame for the rocky launch of the site on a subcontractor. 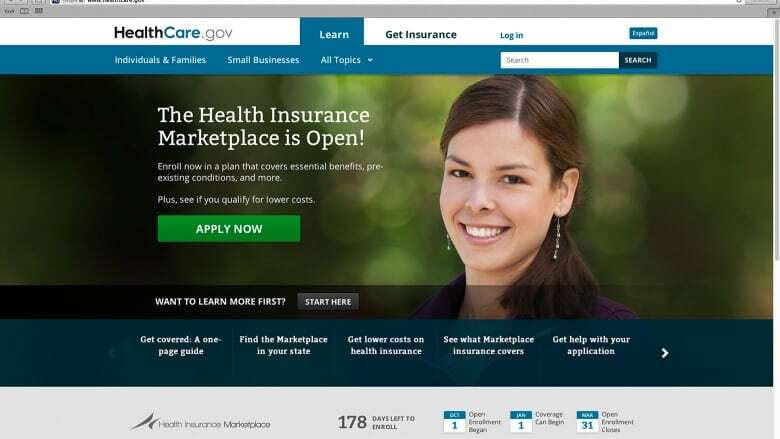 The problem-plagued launch on Oct. 1 of the new Obamacare website — healthcare.gov — has left many people unable to sign up. In written testimony posted on the website of the U.S. House of Representatives Energy and Commerce Committee, CGI Federal senior vice-president Cheryl Campbell said the first set of issues for users dealt with the "enterprise identity management (or EIDM) function provided by another contractor, which allows users to create secure accounts." Campbell said the EIDM acts as the “front door” that a user must pass through to enter the insurance marketplace. "Unfortunately, the EIDM created a bottleneck that prevented the vast majority of users from accessing," the marketplace, she said. Campbell and Andrew Slavitt, group executive vice-president at Optum, which owns QSSI, the subcontractor in question, are among the list of witnesses due to testify Thursday at a meeting of the House Energy and Commerce Committee. In written testimony posted online ahead of his appearance, Slavin said the identity management software is now "keeping pace with demand" and that its error rate has been "close to zero" since Oct. 8. Slavin said a late decision, requiring consumers to register for an account before they could browse for insurance products, appears to be one of the reasons for the high volume in the registration system. "This may have driven higher simultaneous usage of the registration system that wouldn’t have occurred if consumers could 'window shop' anonymously," he said. With Republicans and Democrats launching attacks over the introduction of the insurance website, the Obama administration acknowledged Wednesday that the system didn't get enough testing, especially under high volume loads. "The president needs to man up, find out who was responsible, and fire them," Representative Richard Nolan, a Minnesota Democrat, said. Can Obama recover from the 'bungled' health-care rollout?